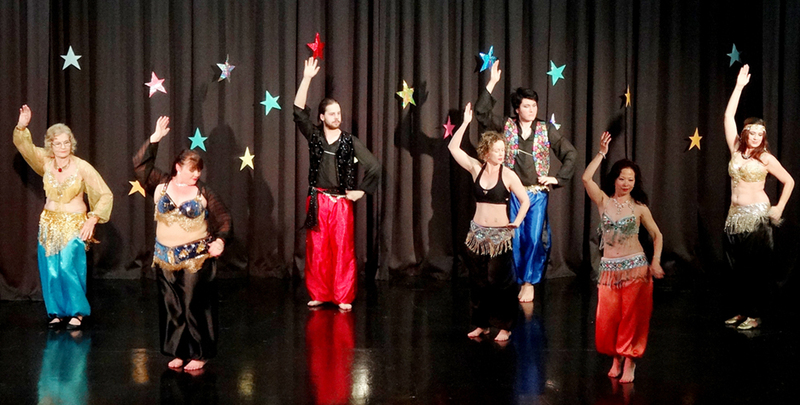 This course is suitable for new beginners and for those with some belly dance experience. Improve co-ordination, strength & stability, flexibility & muscle tone while learning something new and fun! A truly holistic dance form: good for body, soul & spirit! A great way to de-stress! Be prepared to be changed into a new and confident you! Classes consist of a warm-up/cool down, technique, combinations and learning inspiring choreographies - all to beautiful music. Safe dancing technique and correct posture are being taught as part of each lesson. Wear comfortable, stretchy clothing. Bare feet, socks or light ballet flats. Optional: bring a scarf to tie around your hips to accentuate hip movement. Suitable for any age, shape, size, background, fitness level.